Internal beryllium copper grounding spring to insure positive grounding continuity. 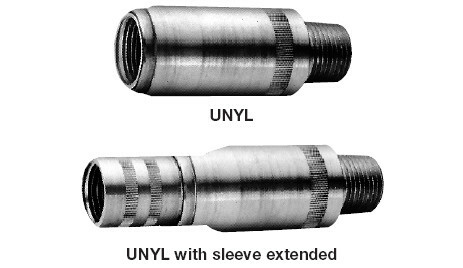 Knurled surface on body and sleeve allows secure gripping with wrench. Available in two styles – short length where space is limited, long length when extra expansion is required. Download the UNF/UNY Expansion Unions spec sheet below or call 714.835.6211 for more information.